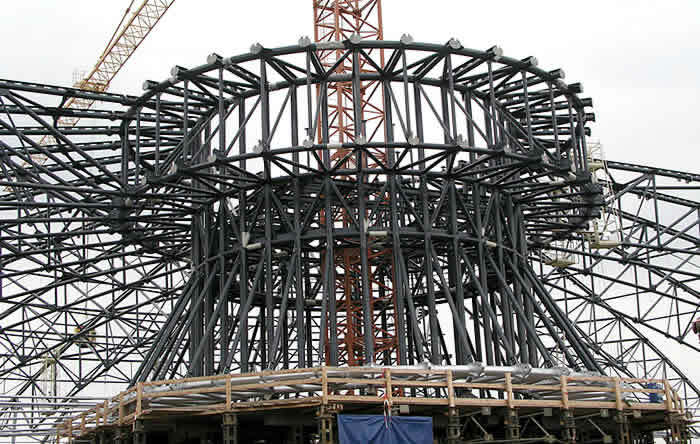 Steel structures is a very important subject for undergraduate civil engineers. Steel is an alloy of carbon and iron. It used in construction and other applications because of its Hardness and tensile strength. Due to the tensile strength of steel, it is added in concrete otherwise concrete is very much powerful in compression. Many of the structures in the whole world are made of steel. Stel has many advantages and disadvantages depending upon them one can adopt the choice of steel structures. There are many shapes available in steel structures like angle iron, channels, W sections, I sections, Z sections, circular, hollow and many others. In order to understand Steel structures basics and many other topics following files have been added here for the students to enhance their knowledge. 2) What is design of Structures ? do you PGsuper software and its tiutorial classes??? And also can you uploaD SOME PROJECT REPORTS ON THE DESIGN OF PRESTRESSED CONDRETE BRIDGE WITH I BEAMS?? R RELATED PROJECT REPORTS?? I search the meaning of PK . If anybody knows about this please kindly let me know. Thanks ! excellent source especially for student .